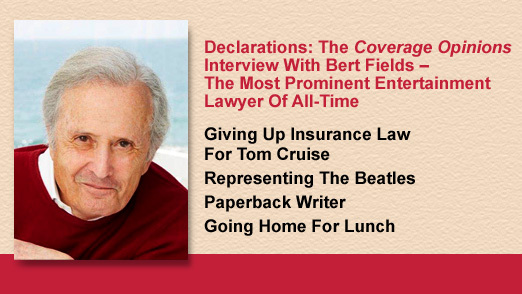 Bert Fields turns 87 this month. But the legendary entertainment lawyer doesn’t know it. Not long ago he won one of the most high-profile cases in the country. Fields talks to Coverage Opinions about a lifetime representing the elites of Hollywood. But he passed up a career as an insurance lawyer to do it. 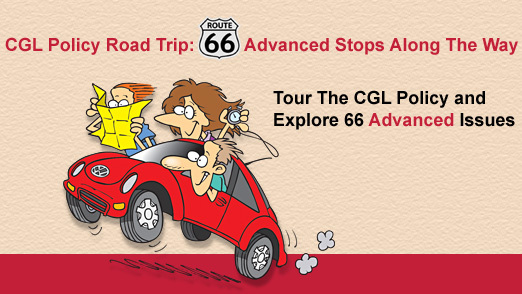 Take a tour of the CGL policy -- focusing on advanced issues, nuances, unique takes on issues, unusual issues and key case law. The Four Questions: Why Is This Coverage Lawyer Different From All Other Coverage Lawyers? Chuck Browning of Plunkett Cooney, P.C. 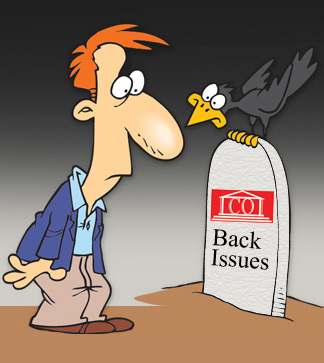 Is A Former Insurer-side Lawyer Disqualified From Now Representing Policyholders?